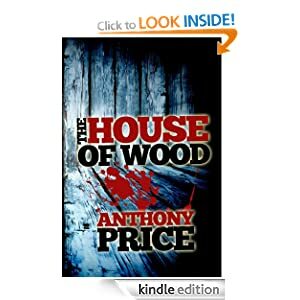 Anthony Price is a remarkable young man with a considerable writing talent. I’ve only recently plucked up courage to read horror stories. Knowing that Crooked Cat choose quality writers helped me surmount my natural reluctance, and Anthony’s story intrigued me. His book has held me in thrall. You can read my review of The House of Wood HERE. You have said The House of Wood originally started as a short story. That strikes a chord with me, because my book had the same beginnings. Have you any more short story ideas you could develop into a book – or even two stories: one for the start and one for the end? Yes, I do actually. I have an unfinished horror novel that started out as a short story that I submitted for my Masters Degree application. When I looked back over it a couple of years ago, I realised that there was so much more I could say and develop. I’m not sure it’ll be a novel now though, as I might turn it into a film script. Or both! Can you tell us something about your disability – has it always been with you, and do you consider it helped with your perception, and with describing emotions in your writings? I have a disability called Spinal Muscular Atrophy Type 2. It’s a genetic muscle wasting condition affecting the voluntary muscles of the body and has been with me since birth. I’m not sure it’s helped with my perception, per se, but it’s certainly given me some unique life experiences and a different perspective on life. It’s only recently that I’ve been drawing on my experiences as a disabled person in my writing. Putting a disabled person in horrific circumstances certainly ups the tension. I note you are an official Yahoo UK Contributor – what does that entail, and what kind of articles are you writing for them? I am indeed. Basically I get to write articles for their UK and Ireland website on subjects that interest me. So, I’ll be mostly writing about film and TV stuff. I’ve just been given my first load of articles to research and write. One is about Star wars, another about The Avengers, one about disability in comic books, one about the 80’s Slasher movies and finally, one about The Hobbit film. They’re certainly keeping me busy. NOTE: Anthony has just published his first article for Yahoo – “Disability in the DC Universe.” You can see it HERE! Now that you have written a book, short stories, and articles, have you formed any preference for a particular form of writing? I still love writing books. The creative scope and depth that you can get in a novel, I’ve only ever found when writing screenplays, but even then it’s harder to get into the thoughts of the characters. I enjoy writing the other mediums, as each one has its own merits. I’m still pretty new to writing journalistic articles, but I’m really having some fun with it. What is your next project? Have you thought of writing in another genre – if so, what might you try? I’m working on a new horror novel. It’s kind of a spin-off and centres round a different character. I’m actually hoping to turn it in to a series of three books. Apart from that, I’m working on several screenplays and a possible T.V show. I like to keep myself busy. As for other genres, I’m a huge fan of fantasy and would love to do something in that genre at some point. I love the pic on your blog – true horror from a young man. That envious green, dripping down from a dead bone. Are you planning to treat us with regular posts sometime soon? What would be your theme? I always keep meaning to blog, but I can never think of anything to write that people might be interested in. I probably will use it one day, after I’ve had a few more novels published, or got a following on Yahoo. I think I’d probably stick to the horror theme and talk about subjects related to that. Film reviews, news articles, sneak peaks of my own work. That kind of stuff. You say you are an avid reader. When did you start, and what were your favourites? I’m a massive fan of both horror literature and film. I’ve been an avid reader of the genre for as long as I can remember, having my first taste of it with the Point Horror series of books. In my late teens, I moved on to Stephen King and the late James Herbert, both of whom have influenced my work a lot. I think overall my favourite horror book would have to be Misery. It’s an excellent piece of writing, full of tension and suspense. I couldn’t put it down. As for other genres, I like historical fiction, particularly Bernard Cornwell, and I love fantasy, especially anything by Robin Hobb, or Tolkien. How did you find Crooked Cat? I actually found Crooked Cat through a group on Facebook. They were calling for short horror story submissions for a charity anthology. They accepted my piece for that, having enjoyed it, so I thought I’d give it a shot with my novel. Needless to say, I’m really glad that I did. How do you like to holiday – and what books would you take with you? I’m a pretty active person and I like to be out and about doing things, so I prefer holidays that are a bit adventurous with a lot of sightseeing. Next year I’m off to the San Diego Comic Con, which I’m really excited about. But no matter where I go, my Kindle always comes with me for any down time. I’d definitely make sure it’s stocked with plenty of horror. I see you are interested in sport – which ones? I love my football, having grown up in a household full of avid Manchester United supporters. I also like a lot of American sport; NFL, basketball and baseball being the main three. I was lucky enough to get tickets for the NFL game at Wembley. I was very pleased with that, as it’s the team playing that I support. This entry was posted in Authors and tagged Bernard Cornwell, Disability, Horror fiction, Point Horror, Robin Hobb, Stephen King. Bookmark the permalink.